Are you a blogger and want to be good blogger in your life? Well, don’t say no as every blogger wants it to be. Every blogger’s desire to become popular while blogging on daily basis, they wants everybody to talk about them on daily basis. But are you doing enough to turn into a good blogger? There are many tips and guidelines you need to follow to be a good blogger. 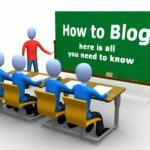 In this post I am going to short list the best tips that will help you in establishing yourself as good blogger. Well, every part of the life needs this and so the blogging is. Blogging is not any simple task. You need to do very hard work to make your reputation in the blogging field. If you are lazy to do the tasks on time then you cannot even think about becoming a good blogger. Hard Work is the key to success in blogging. If you can do this, that means there’s no one who can stop you from achieving your goals in blogging. Some bloggers keep doing hard work for money and some for passion. If you fall in the category of money lovers then sorry but blogging is not going to pleasure you for the long run. 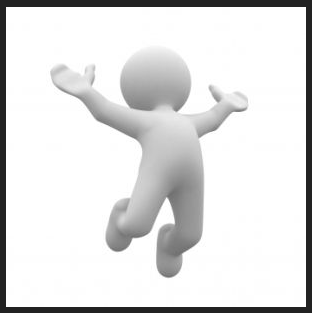 Passionate bloggers can enjoy lifetime success and earnings from blogging. Passion is what you cannot copy from anyone else. It is what when someone gets, then that’s it and he/she sticks to it for the life. If you are going to be forced blogger then you will be so called blogger always and turning into a good blogger will be a dream for you always. If you have passion in any particular topic like tech or health then don’t be too fast to start blog and start writing about your favorite topic. This is not going you to differ from other bloggers, who start blogging. Promote it a bit and then leave it. If you want to be a good blogger then you must come up with the content which is not yet published elsewhere on the large sea of internet. For this you need to do proper research. Research about your favorite topic will stand you top on the long and never ending queue of the bloggers. So after doing hard work, you are done with Research part then it’s time to put all that efforts into practice by posting the high quality articles. High quality in the articles on your blog is must as when any reader is on your blog then you are not going to be there to represent your blog to the reader. It is only the writing quality that is going to impress or depress your readers. If your writing quality is not good then all efforts will go into a dustbin and you cannot think to be good blogger ever. So keep practicing the writing tasks as experience does matter. Only that businessman can be successful in his/her life that has good reputation among other business persons. In the social media you will come across the people of your field and you must try to make good reputation among them. 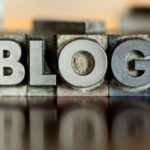 You should not do any task which will cost you to lose your reputation among other bloggers. It does not matter that the blogger is newbie or professional, you need to give respect to them. Giving respect to any other person does not cost anything but yes it can pay many things and in this case it will surely results in establishing yourself as good blogger. Olawale has been writing about ways to help bloggers earn more online simply by becoming a better writer more than their contemporaries and that’s why he shares tip on how to improve email marketing on his technology blog, TechAtLast.com. His other web blogs are BoltonHiTech.com and iTechWit.com. yeah nice post. one more point to become a good blogger is to blog with interest and not with force.